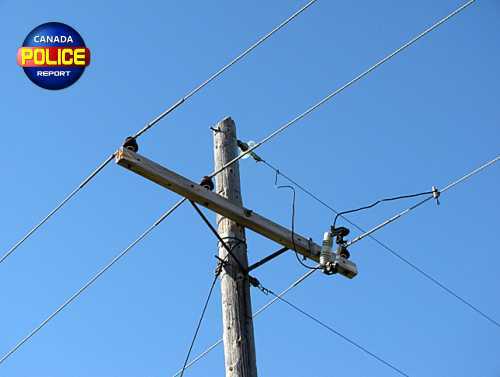 Mission, BC – Two men were arrested in relation to a wire theft complaint in a rural area located on the outskirts of Mission. On May 19th, 2018 at 3 am, the Mission RCMP received information that utility lines were being tampered with near the 11000 Block of Dewdney Trunk Road. Members from the Mission RCMP and Integrated Police Dog Service attended the area quickly and located an unoccupied truck parked near the scene. From the truck, the police dog was able to track and locate the two male suspects, one in his mid 40’s and the other in his early 50’s. The cut wire and associated tools were located near the suspects and taken by police for evidence. The two suspects were arrested without incident and taken into police custody. On May 19th, 2018 at 3 am, the Mission RCMP received information that utility lines were being tampered with near the 11000 Block of Dewdney Trunk Road. “It’s helpful when members of the rural community advise us of suspicious activity in their neighbourhood. It helps us to do our job more effectively,” says Corporal Nathan Berze of the Mission RCMP.